Stunning views with beach access across the road. 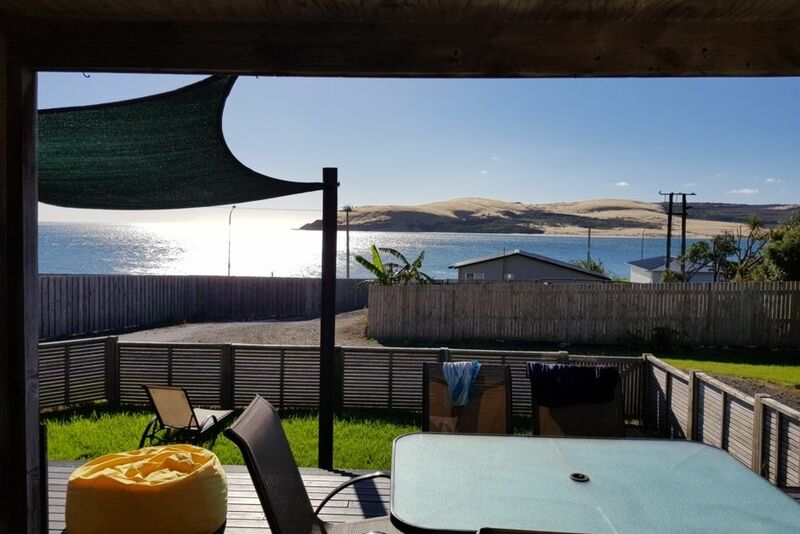 Escape to the beautiful Hokianga and enjoy our recently renovated family bach. Expansive views from the deck and living areas AND the absolute perfect swimming spot is right across the road! It even has a picnic area. This is a 2 level home, with all sleeping areas upstairs. Let the kids watch movies while the adults enjoy a few wines downstairs. BBQ is provided, along with Sky and free unlimited wifi. Sleeps 6 people comfortably with 2 bathrooms. This is a great Bach due to its location and the view is stunning. We really loved our stay and the area is beautiful. The cakes from the shop in omapere are delicious. There are lots of beautiful walks in the area and it’s so peaceful. Amazing property in a great location ! The house is a very good size and easily accommodates 5+ adults. The house has everything you need including some magic sunsets. This whare was just what we needed and more. This whare was just what we needed and more. Enjoyed a lovely BBQ on the deck our first night overlooking the harbour and that amazing view. We did a lot of travelling around the north, so werent there during the day, but we definitely looked forward to getting back after a looong day of driving. We were sad we didn't book an extra night to relax the next day. Was definitely a home away from home and can't recommend it enough. This batch was absolutely paradise. This batch was absolutely paradise. We thouroghly enjoyed our stay and will definately be back! Lovely place, nice and clean with a beautiful outlook! Location is decent. Property is clean and tidy. Fine layout. Not overly private though as neighbours are close and one of them has two large barking dogs which unfortunately woke us up every day. Great view though and beach access is down the drive and over the road. Five minutes away.